I’ve always been aware of Brassai’s work, but it never really struck me until I picked up this book at the Strand a few weeks ago. Wow– the more you look at an image, the more little details are revealed. The style, the atomsphere, and the special moments that were underground Paris in the 30s are all present in this book. What also makes it really special is that Brassai wrote most all of the text, so you really get a feeling for what was happening when he was taking the shot. This book might be hard to find at a bookshop but should be pretty easy on Ebay. I love the high shirt sleeve roll in the top two images. I don’t think Brassai was trying to shoot “style” but he had a great instinctual eye for it. For me, his underground dive bar scene shots really set the standard for how to capture the nightime scene. Re. 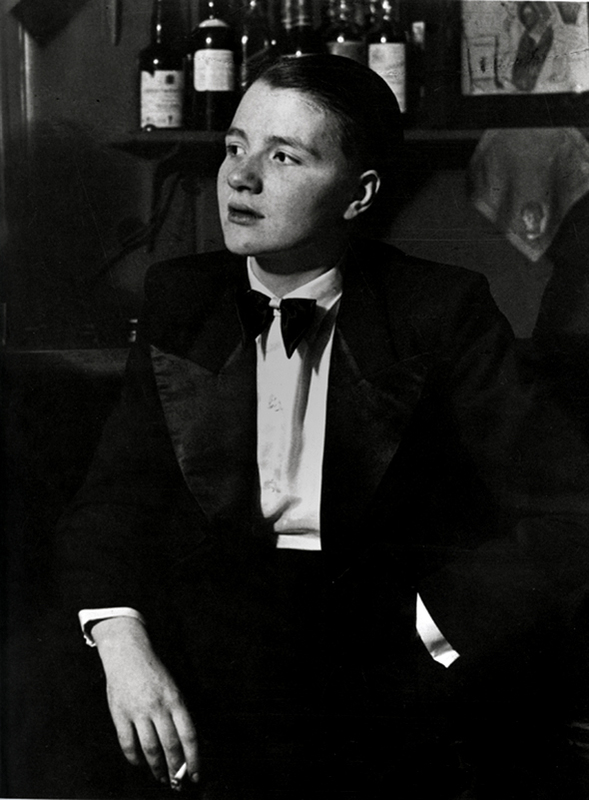 the first picture you’re right Brassai was probably not trying to shoot “style”…but French writer Jean Genet. But… The first one seems to be the writer Jean Genet, isn’t it? These are very interesting photos. I love the history that you feel just looking at them. That’s the writer Jean Genet in the top picture. One can find some of Brassai’s work at the Masters of Photography website. The woman on the right in the fourth picture down is Violette Morris, an athlete who later collaborated with the Gestapo, aiding in the Nazi’s invasion of Paris and the torture of female prisoners, just FYI. @Bruno: that’s Genet? Awesome! Style goes without saying. 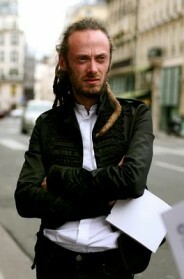 Very stylish vagabond thief! I think he also managed to get the mood of a flourishing time between wars. Very nice photos! They need no explanation at all! These pictures are amazing. I am always intrigued by pictures from the past. It is interesting to see what the people looked like, how they acted when the photograph was taken. I think that Brassai captured the atmosphere in these moments very beautifully. It’s available on Amazon for not very much at all. I’ve just ordered it, such is your power. Looks really cool. Love looking at this sort of thing. If you like them kind of books, I’d recommend the book’ where we’re you’. My friends uncle released it just before Xmas. It shows the style and pop culture in Dublin from the 50s through to 2000 through pictures, ads and concert tickets etc. it’s very cool…check it out. For Sartorialist’s brazilian readers: I’ve bought the book last year by internet from Livraria Cultura. They sell in the stores too. And they send to some countries. It’s really wonderful. Delicate and strong at the same time. XoXo! I’ve always loved black and white photos, especially of people. Seems to take them outside of time in a way, and make them seem fresh in a way that color doesn’t. I see old sepia photos of people and they look… odd, but black and white, and they could be people on the street today. Of course, that’s because of the technology. I love seeing what you’re looking at. One of the fascinating things about Brassai’s photographs is that the subjects are responding and reacting to someone other than the photographer (sauf le portrait de M. Genet). The idea of space is very much apparent in his photos. The first one (after the portrait) has interior depth, the second has background depth, the third more depth of foreground, and the last is almost cinematographic; there’s something zoetropic about it. You get action, and reaction within the reflection in the mirror. I don’t think Brassai is as much about style as he is about essence and moment. ugh. Paris. I miss you. Brassai is so good. Will keep a lookout for the book. Thanks for the tip! this represents the best of everything, ever. thanks for sharing, I will certainly pick this book up! Fabulous! I will definitely look for this book on Ebay. I love the pictures. Though I am sue the beauty of the first picture is just that it was captured. It just ‘is’. It is in to way contrived; no particular sleeve action, no new posture, not smoking just for effect as it were an advert. Isn’t it just a great moment with an engaging man? Surely that’s enough? It is for me. The first picture made me think of Jean Genet. Thank you for timely and powerful work. Many thanks to Liam for pointing Violette Morris in #4. 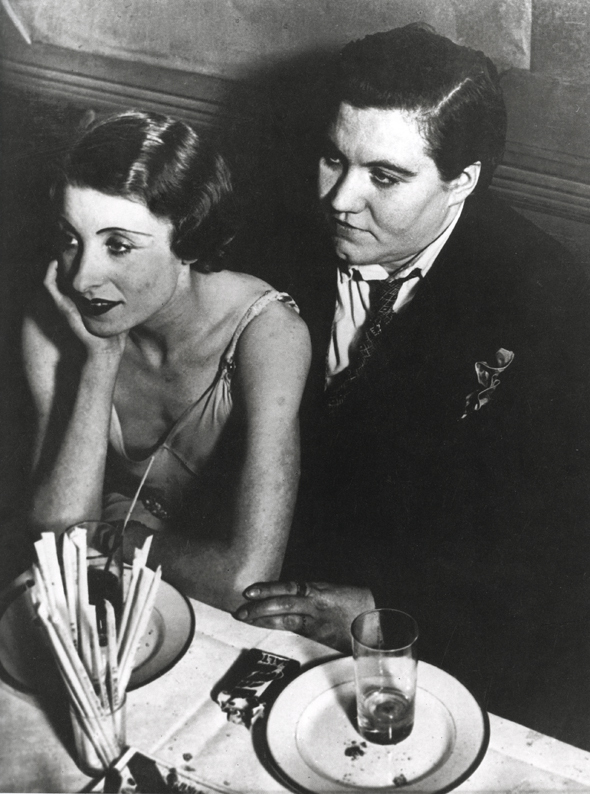 This is one of Brassai’s most iconic images but I have never known of the deeper meaning of that photograph. There is more information available online on Morris. Keep up the good work, best regards. He was Hungarian. I am proud! That first pic looks like Flea from Red Hot Chili Peppers. This book is fabulous. I bought my copy in the late 70′s and still have it and look through it on occasion. 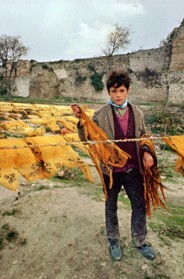 The writing is as compelling as the photographs. Style, street scenes, demi-monde – such beautiful images! Another astonishing black & white study of a particular place and time is William Klein’s Rome. Everyone’s there: Fellini, Moravia, Rosselini, street urchins and models. I love the bow tie on the young man – so stylish, I wish they made them like that now! That is indeed a lovely book, and sought after now. Brassai’s book is easy to find. Just go to an online bookstore, for one. I really like Brassai’s pictures. I am also a huge fan of Kertesz. They are really inspiring for anyone who would like to learn the art of photography. I think No. 3 down must be a girl in drag – not that it’s a problem! you are right, love the underground dive bar shots. so awesome. thanks for sharing! The top photograph is of radical writer/poet Jean Genet. As a side note, among the many hats that Brassai wore (so to speak), he was a photographer for Harper’s Bazaar. I first saw that picture of Genet in another book 15 yrs ago and it has haunted me ever since. It represents the very definition of timeless chic. Gobsmacked that this seminal work has only just been revealed to you. It is breathtaking in its originality and daring. 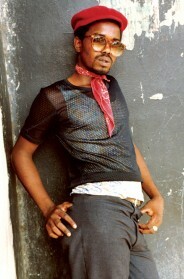 Every street-style-shooter should study this man’s work and this book closely. It’s a total revelation. You don’t need to buy the book. Go to a big library. I love to spend time alone looking through picture books, whether art of photography. Hungarian photographers like Brassai, Kertész or Robert Capa created amazing things in Paris in the twenties, thirties and onward… Brassai was certainly one of the best. 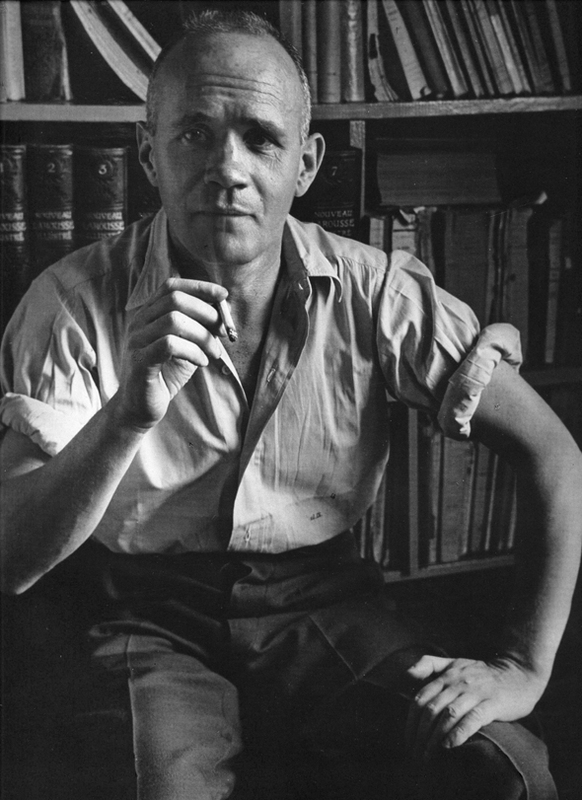 On the first pic: Jean Genet, a rebellious mind at its best at that time! To those who could afford it, I would advise to take a look into his writings to understand what I am getting at! 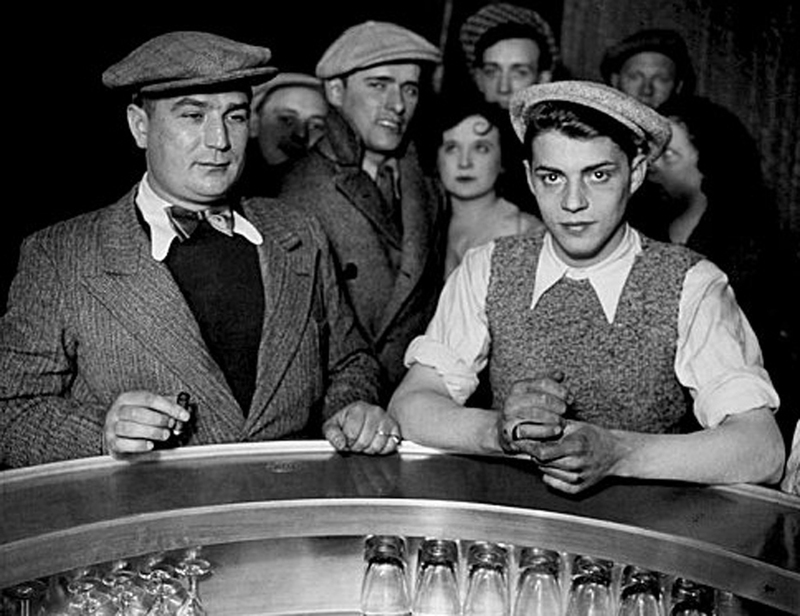 The more you look at these photos, your mind tries to understand the significance of what brassai saw in these hard working men ? There faces are not of obvious expression but of intrigue to the spectator… tooo deep for any man to understand ! @Nora, actually, he was romanian. His pseudonym comes from ‘Brassó’ which is the hungarian name for Brasov, his birthplace, which is a romanian town from the region of Transylvania. This is a historical region in the central part of Romania that was under the rule of Austria-Hungary until the ethnic Romanian majority proclaimed Union with the Kingdom of Romania on December 1, 1918. He did study painting and sculpture at the Hungarian Academy of Fine Arts in Budapest. 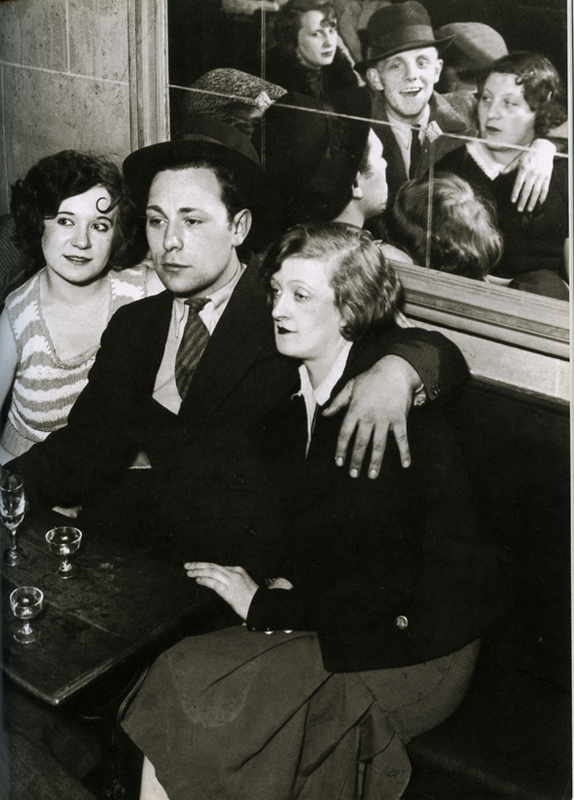 I have loved Brassaï’s work since I discovered Secret Paris of the 30′s while an art student in the 80s… So many more photos that could be included on this page!